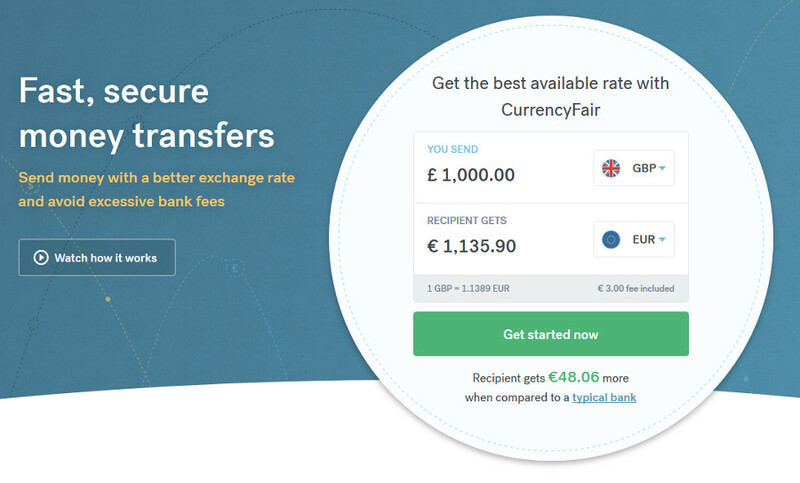 CurrencyFair Review - How fair are their fees and should you give it a try? In the recent past, there were few options for sending money abroad. You could choose from banks or companies like Western Union with enormous fees. 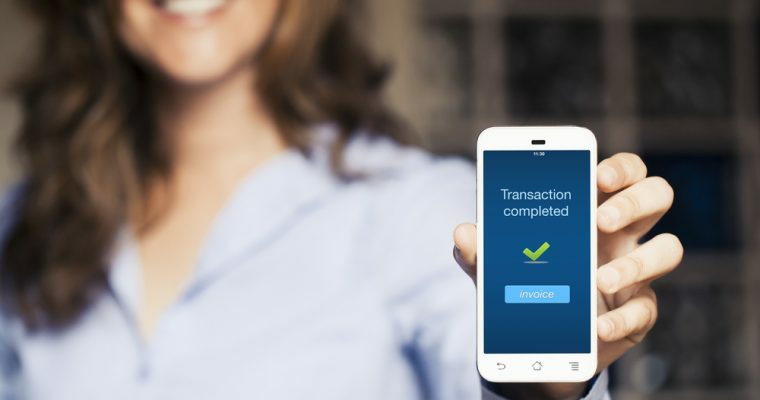 Fortunately, technology is now giving us greater freedom of choice with how to move our money. CurrencyFair is one of these revolutionary companies who has started using peer-to-peer networks to reduce fees and offer better quality services. In this CurrencyFair review, I will provide comprehensive information about the company’s services and share ideas about how to get the most out of them. Regulated under the EU Communities Regulations by the Central Bank of Ireland (see Registers of Payment Services Firms section). I’ve got an exclusive offer from CurrencyFair only for Save On Transfer readers. Use the following link to get 3 FREE TRANSFERS absolutely free of charge! Yes, not just the first. What is Mid-Market Exchange Rate? The mid-market exchange rate is the middle point between sell and buy prices on the currencies exchange market. It is considered the reference rate; it’s also called the interbank exchange rate. Banks and exchange services usually add margins on top of the mid-market rate; we call that a ‘hidden fee’. CurrencyFair is peer-to-peer payments system that exchanges money in between people with minimal involvement from banks. They use banks only to receive your deposit and to credit the recipient’s account. It works in the way that actually keeps money from crossing borders, allowing CurrencyFair to keep low and transparent fees. The entire process takes 1-2 days to complete for most destinations. A fee of 0.25% to 0.3% of the amount you send. This fee changes depending on which currencies are being exchanged. How to Get the Best Deal on the CurrencyFair Marketplace? There is chance that you won’t ever find a matching transaction to fulfil your order. In this case, CurrencyFair will step in and use their funds to do the conversion. The fee for this type of transaction will be 0.4% to 0.6% depending on currencies you are converting. But it happens very rarely. CurrencyFair Needs You to Succeed! CurrencyFair’s success depends solely on the number of active customers. For every single transfer, they need to match a transaction coming from the opposite destination. For example, if you convert 1000 GBP to EUR then obviously they need to find somebody else who needs to send at least the same amount in EUR equivalent to GBP. This is how all P2P payment providers work. This ensures you’ll get great customer service and the best rates that can afford to give you. Is the company licensed to provide financial services? Is it licensed in your region? Always confirm license status on the official website of your local regulatory institution. Is the company trustworthy? How old and big is it? Who are investors? Are the customer’s feedback positive? Now that we’ve established our criteria for a safe service, we can see where CurrencyFair stands when it comes to safety of your money. Let’s find out more about how secure CurrencyFair is. CurrencyFair is licensed to perform payment services under the EU regulations and is authorized by the Central Bank of Ireland with license number 419450. They also legally operate in Australia and are regulated by ASIC with the license number 402709. Both are confirmed to be valid on official websites of regulators. According to EU regulations CurrencyFair are bound to protect their customers funds by implementing various security systems and procedures. This includes keeping customers funds in segregated accounts that are isolated from CurrencyFair’s own accounts. Also, they are required to maintain certain level of capital and liquidity dictated by regulations. This ensures your money is as safe as it can be. The company was founded in 2009 by group of expats. It quickly became one of the top online money transfer companies in the world. The have around 60 employees working in 3 offices in Ireland, Australia, and the UK. So far, they helped to transfer more than €5.6 billion, allowing their customers to save more than €202 million from bank fees and rates. Back in January 2016, the company was nominated as the best online provider for sending £10,000 to Europe by which.co.uk. According to Crunchbase, there were numerous funding rounds performed by various investors like Enterprise Ireland and Octopus Ventures. They got around $24.5 million of total funding. You know if investors trust their money to CurrencyFair, you can too. The company receives very positive customer feedback all the time. They keep a very high 9.3 (Excellent) TrustPilot rating that’s based on more that 2500 customers reviews. Moreover, they are in the Top 5 companies in Money Transfer category on TrustPilot. People typically rave about their amazing exchange rates, low fees, and how the entire transfer process is quick and simple. Customers also highlight responsiveness and helpfulness of customer services. There are a few people who claim that the transfer process is a bit overcomplicated and transfers speed could be better. Some people complained that they had to provide too many personal details when opening their account, but this is regulatory requirement. CurrencyFair makes the process as easy as possible and only asks for what they need. Recent utility bill, bank, or credit statement to prove your address. You may be asked to provide 2 different documents. These documents are required to be uploaded during the registration. You can scan them or take a photo of them. Try to aim for the best alignment and image quality so that CurrencyFair’s automated verification can pick out the details. This way, they can verify your identity as quickly as possible. In certain cases, more documents may be required for manual verification. It’s usually done within one day. You need to pass this process only once, then you’re ready for your first transfer. Why do They Need Copies of My Documents? These documents are required by EU regulations, and CurrencyFair is obliged to collect this information. You will see all other money transfer companies do the same; you should be very cautious if they don’t. Certain companies allow you to send limited amounts before asking for proof of ID and your address. TransferWise for example. To finish the registration process, you will only need to accept the terms and conditions, then press “Create Account!” button. Shortly after, you will be transferred to the next page where you can start sending money. You should receive confirmation of the registration to your email within couple of minutes. Once you get registered, you are almost ready to start sending money. The last step is to complete the verification process where you need to upload copies of documents to prove your identity and address. Select “Send Money” option and specify how much you would like to send and in what currency. You will instantly see the exchange rates, fees, the amount that will be sent to the recipient, and estimated delivery date. Your proof of address; it can be any utility bill, bank, or card statement. Make sure your effective address is present on the document, and the document itself is dated within the last 3 months. Enter the full name of the account holder, country of residence, recipient’s IBAN, and purpose of the transfer. You can optionally provide payment reference for the recipient. Then you will be asked to confirm your phone number. It will be used as an extra safety measure to authenticate payments with mobile phones. You will receive an SMS with a security code every time you do a transfer to new bank account. You will need to enter this code in order to authorize the transfer. The last step is to send money to CurrencyFair’s account in your currency. You will get exact instructions with account details and payment reference required to complete the transfer. Make sure to copy the payment reference information to avoid any possible delays. These transfers are normally free of charge and money will arrive at CurrencyFair within few hours. 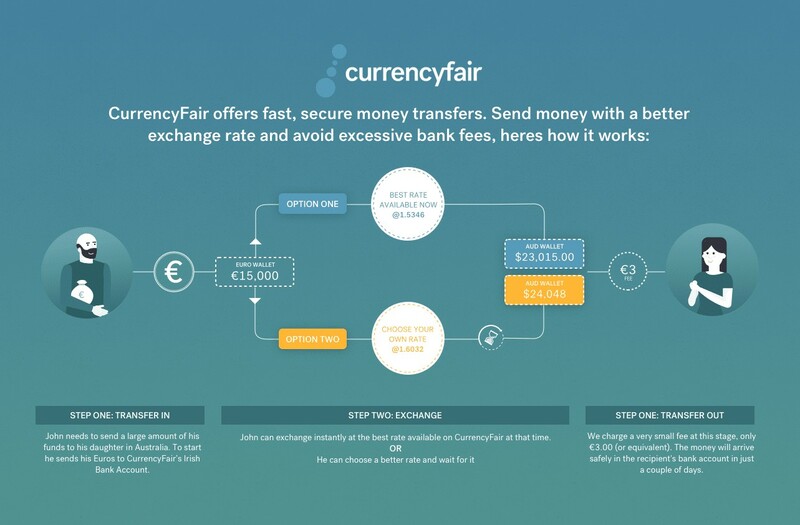 Keep in mind that CurrenyFair relies on the real mid-market exchange rates, so it may change while they are processing your request. There is a built-in protection against exchange rate fluctuations that are higher that 3%. In this case, you will get your money back. You should be able to see your transfer under “My Account” overview once you complete all the steps. Payment and verification status will be displayed when opening details of the transfer. Now you’re done! Your transfer should get complete shortly. You definitely can’t go wrong if you choose to try CurrencyFair for sending money abroad. 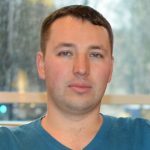 Their fees are low and transparent, and there are no hidden margins added to the exchange rates. Thanks to CurrencyFair marketplace, you have absolute control over the exchange process. You can get even lower fees if transfer time is not critical for you. I definitely can recommend this service for individuals and businesses who deal with international transfers. Whether you need to transfer money once or regularly, CurrencyFair is a great service that can fit all of your transfer needs.